March was the month Sam Reinhart for the Buffalo Sabres. The 2014 second overall pick pretty much owned the month with 14 points (9+5) in 14 games punctuating that performance with a hat trick on the road vs. the league-leading Nashville Predators on Saturday night. Reinhart, who had been forgotten about since the drafting of Jack Eichel and was nearing "bust" status for some early in the season, has put it all together and matched his career high in goals and points with that performance against the Preds. Other than that, Ryan O'Reilly continued his consistent numbers by posting a four-goal month to reach 20 goals for the third straight season in Buffalo and is now at 57 points on the season which is the fifth year in a row that he'll have reached 55 points or more. Defenseman Rasmus Ristolainen lead the team with eight assists on the month and with one more point in the last four games will hit the 40 point mark for the third straight season while Eichel's five assist night at Nashville propelled him to career highs in assists and points. It was an inconsistent month for the Sabres as they finished with a 5-8-1 record for the month with a 3-2-0 road record with both of those losses being blowouts. They were awful at home going 2-6-1 and lost by three or more goals all six times including being shut out twice. In all the Sabres were outscored by a 52-33 which reeked havoc on individual plus/minus stats. Benoit Pouliot lead the team in plus/minus with a plus one and was the only player on the team who appeared in seven or more games to be even or above. Behind him was Jason Pominville and Evan Rodrigues at minus-2 each. At the bottom of the team plus/minus stats was forward Scott Wilson who clocked in at a minus-9 followed by Eichel, Reinhart and defenseman Casey Nelson all of whom were a minus-8. The goaltending was very poor for the most part although Chad Johnson managed a 4-3-0 mark for the month. However, the Sabres backup saw his goals-against average climb to 3.35 while his save percentage stayed the same at a very sub-par .896. Starter Robin Lehner had only one win on the month and saw his goals-against rise above three goals/game for the first time in his three seasons playing for the Sabres. And for him, that's how it might end as the 26 yr. old may have played his last game in Buffalo. In March we also saw Pominville rise from the dead. 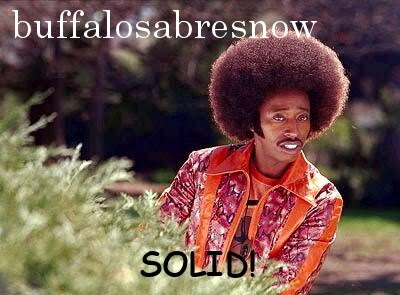 The 35 yr. old veteran winger who is on his second tour in Buffalo got off to a hot start for the Sabres with 12 points (6+6) in his first 12 games. But, from November through February Pominville scored only 12 points (4+8) in his next 52 games while watching his plus/minus plummet from a plus-3 to a minus-15. Last month he managed three goals and four assists with all of those assists being of the primary variety and was one of the 'better' players as he only incurred a minus-2 rating for the month. There are four more games left in the 2017-18 season. 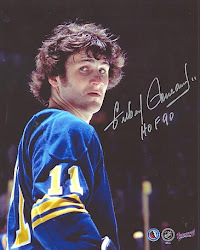 Tonight the Sabres play the Toronto Maple Leafs at Air Canada Center and Tuesday they finish the home portion of their program with a game against the 30th place Ottawa Senators. After that they close out the season in Florida with back-to-back against the Florida Panthers on Friday and the Tampa Bay Lightning on Saturday.